If your business is VAT registered with a turnover above the VAT threshold then you will be required to use the new guidelines of Making Tax Digital (MTD) for VAT by law from the 1st April 2019. Making Tax Digital is making fundamental changes to the way the tax system works – transforming tax administration. The changes will apply to a wide range of taxpayers including most businesses, self-employed professionals and landlords. 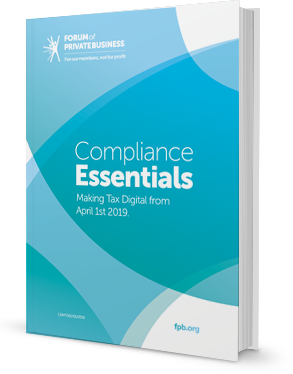 Making Tax Digital is a massive change for a lot of businesses and can have a huge impact on daily activities, in order for you to become more aware of what you need to be doing we have put together the above guidance notes for you to take a look at. Did you know that if you are a business using excel spreadsheets for your accounting you can now acquire bridging software to help you extract the information required by HMRC digitally? You can find the details on page 8. All businesses have legal responsibilities they should be working towards, and falling foul of them can be costly. Forum Membership is complete Advice, Support & Protection for your business and is available in conjunction with our legal representative.